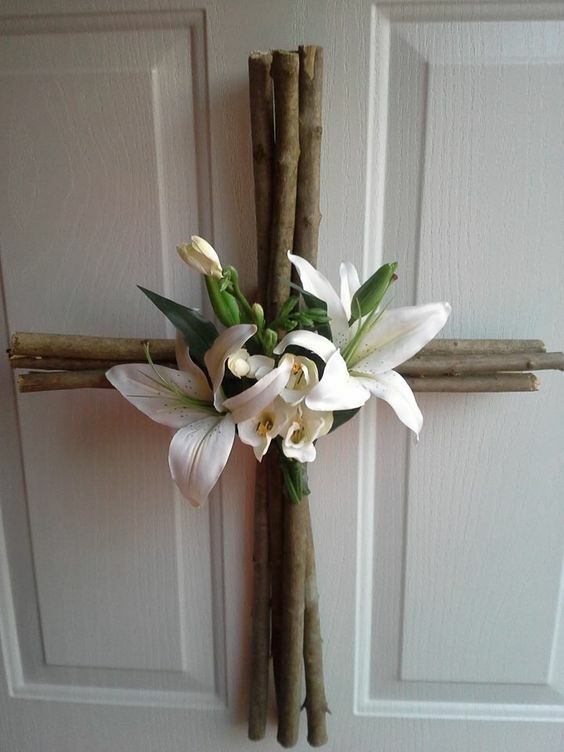 When spring has sprung it’s time to turn our heads towards new life and decorating our home to reflect that. 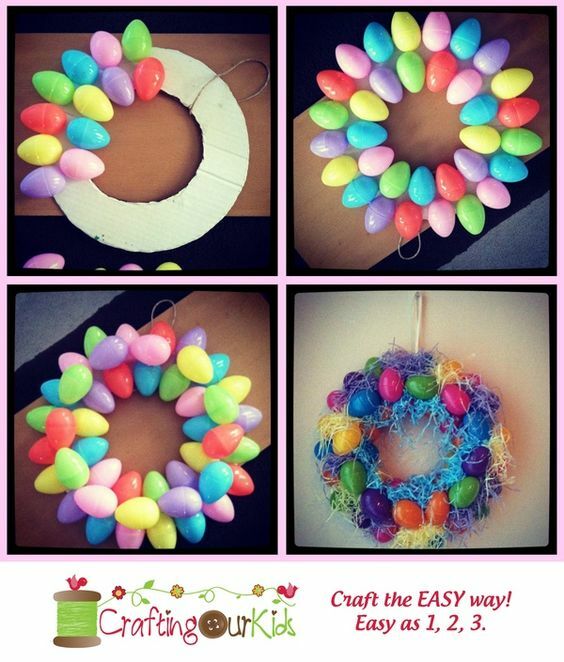 Check out these DIY Easter Wreaths which will transform a dull space into one of joy and color. 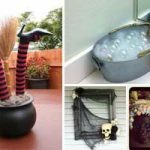 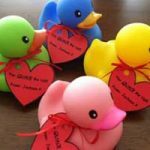 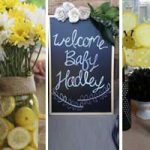 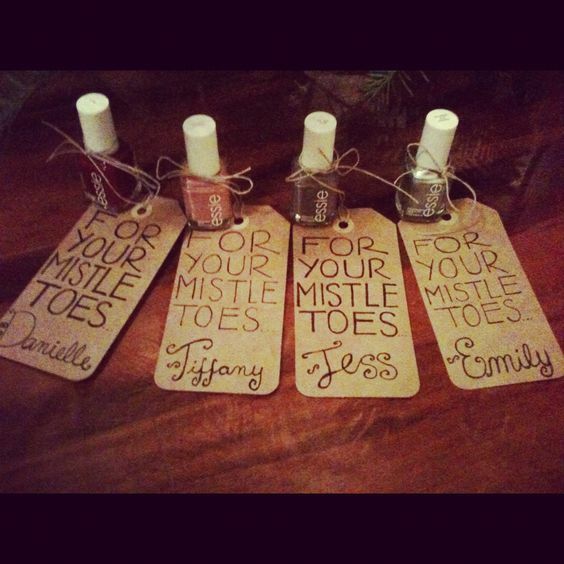 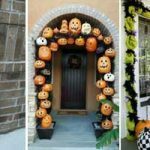 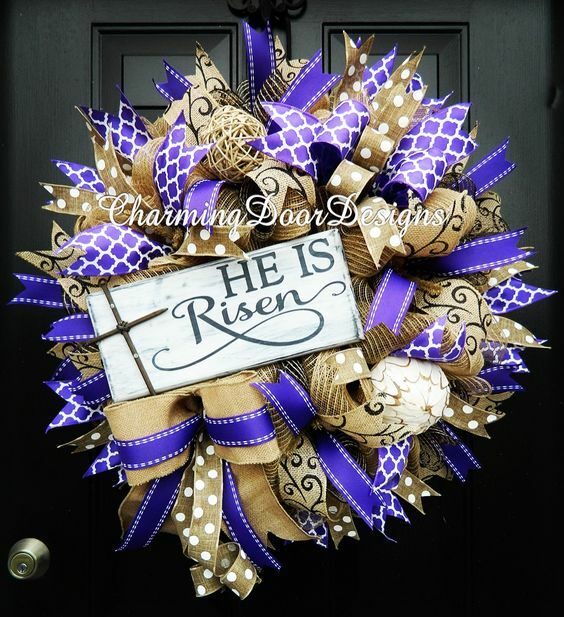 The supplies can be purchased at your local dollar store so you can have something really unique for your front door at a fraction of the cost you would pay to buy one from a store. 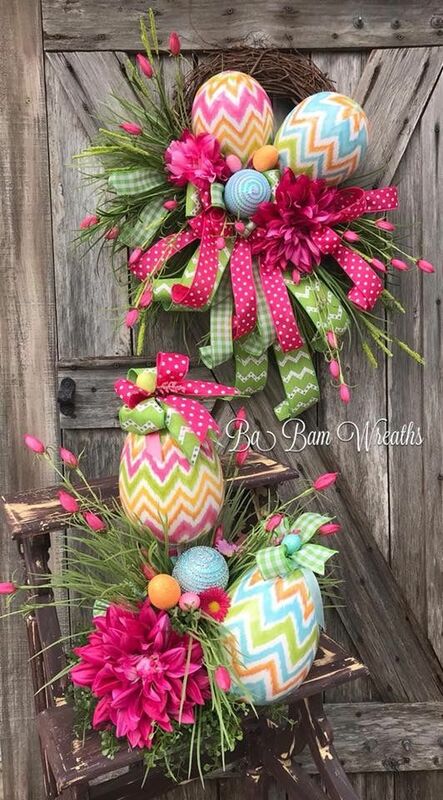 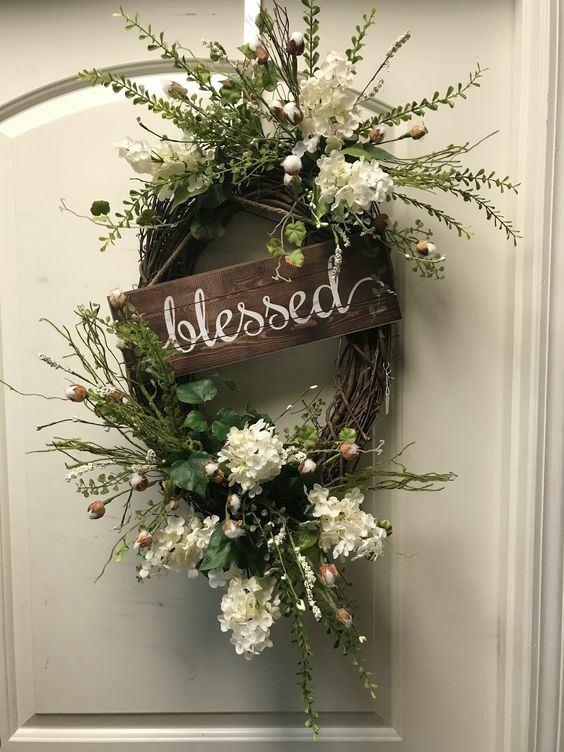 Easter egg wreaths are always popular because they are super affordable and colorful and help bring all the joy of the season to your home. 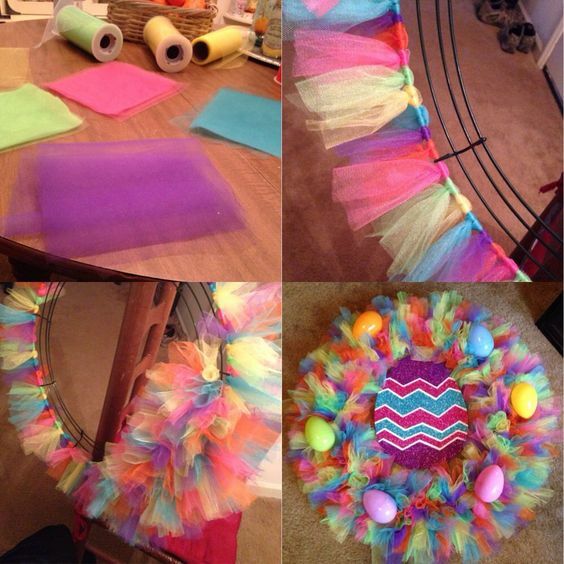 Make your own cardboard ring and glue on many plastic eggs with Easter grass to recreate this idea. 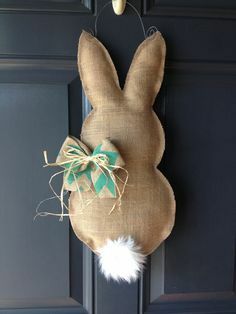 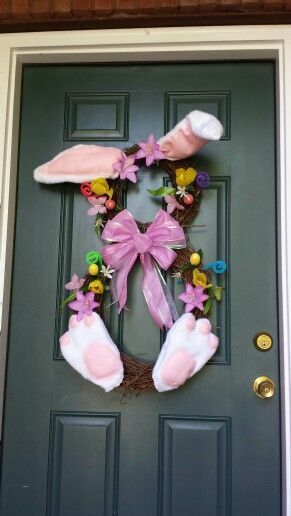 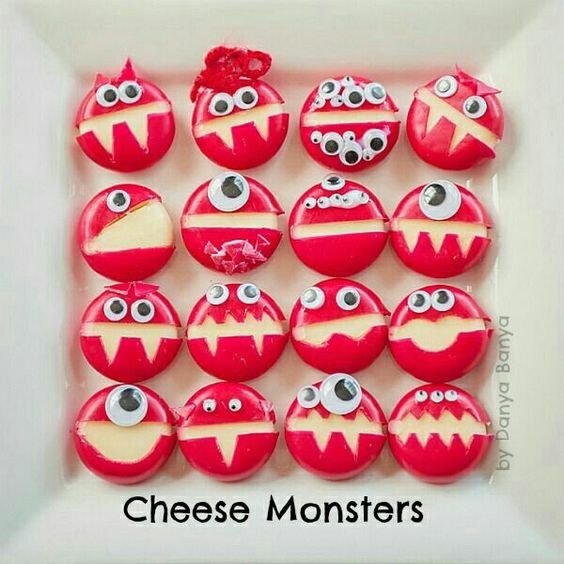 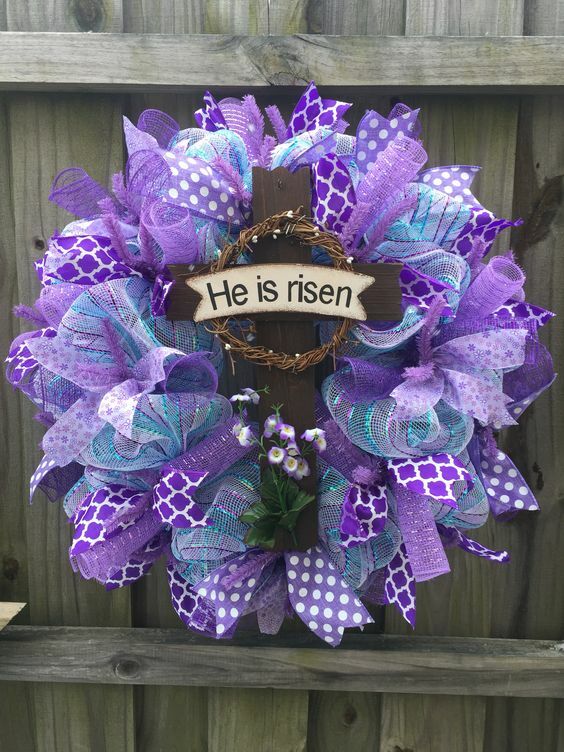 If you want to make this you’ll need a 14 inch wreath form, 6 rolls of deco mesh in colors of your choice, 2 rolls of wired ribbon, and optional styrofoam eggs. 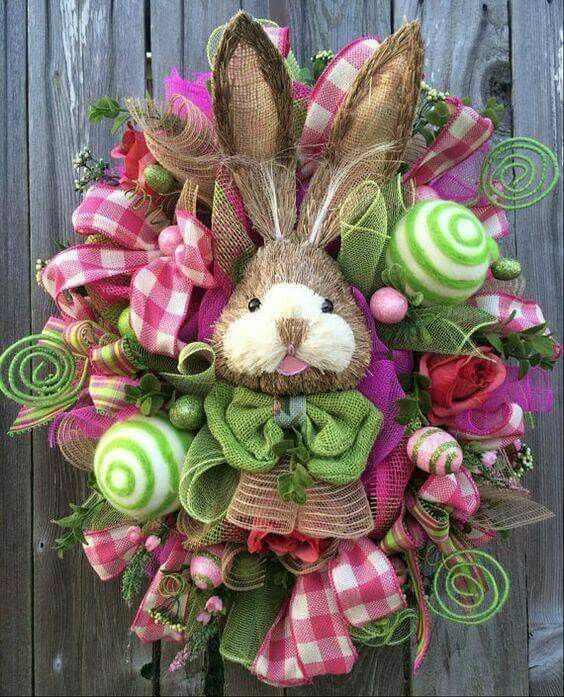 Begin by making bunches of ribbon to attach to the wreath and repeat until complete. 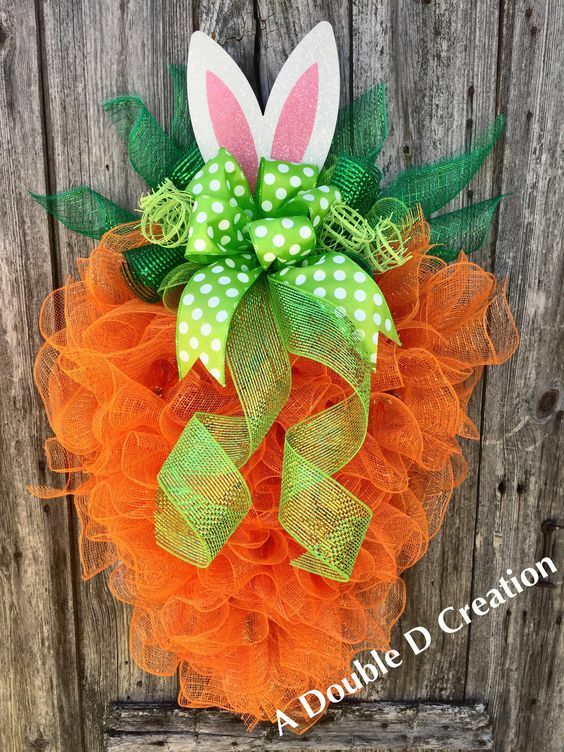 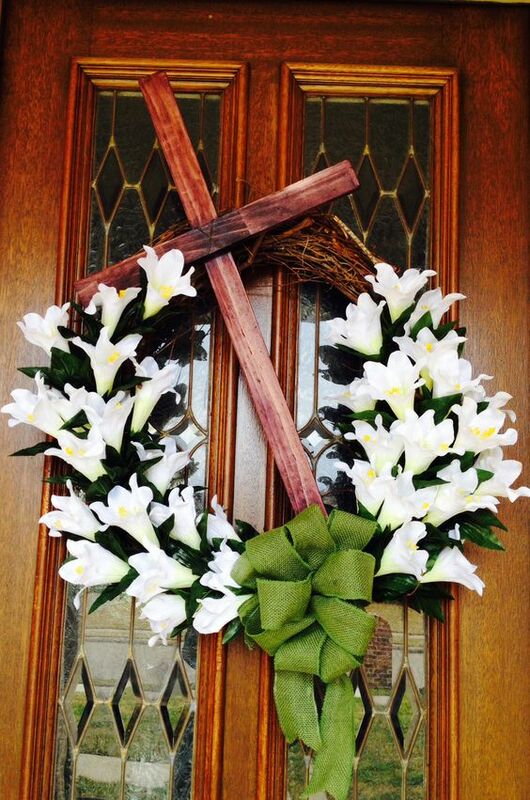 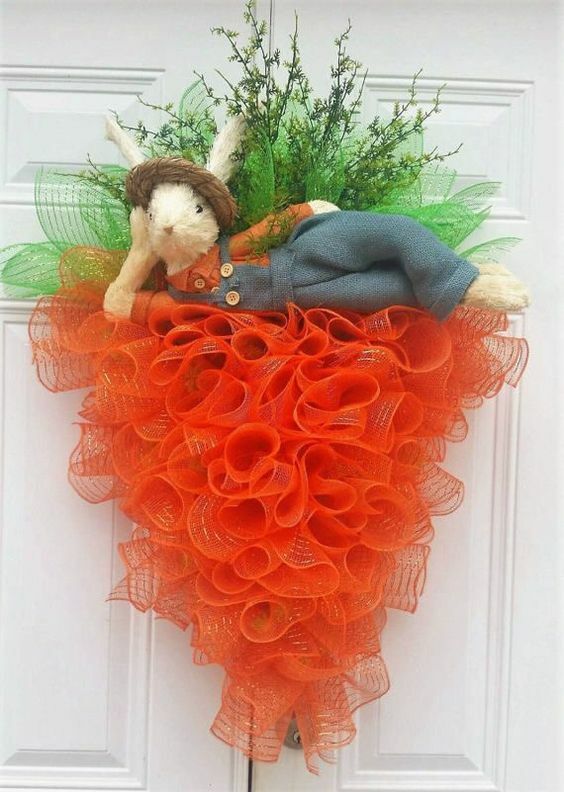 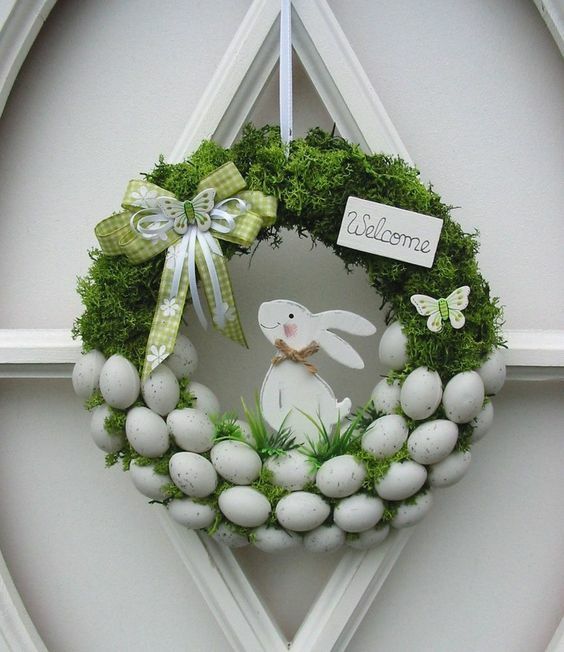 A carrot shaped wreath is perfect to adorn your door for Spring and Easter. 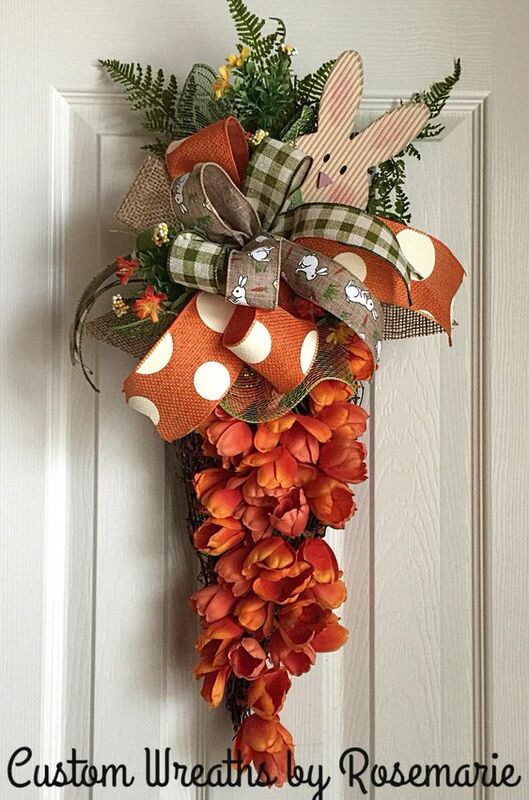 You’ll need some Faux Orange Tulips and floral wire as well as greenery. 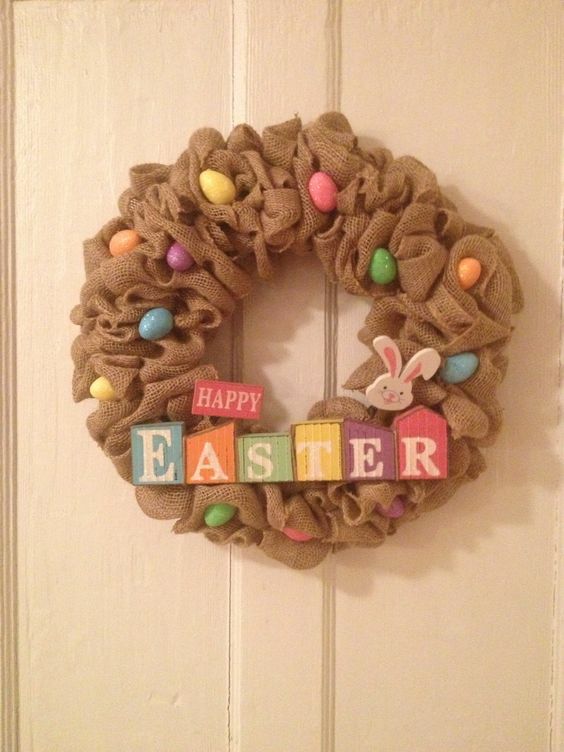 A burlap wreath is adorned with decorations such as eggs to make this beautiful creation. 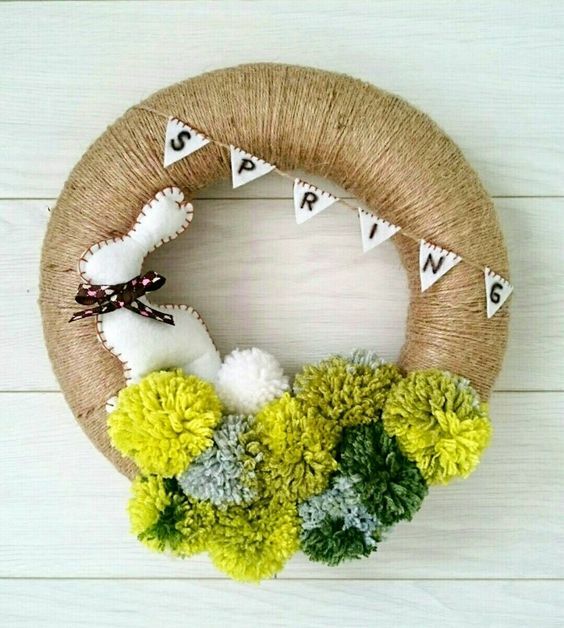 You’ll need two different sized grapevine wreaths as well as other Easter themed supplies to make this adorable bunny rabbit. 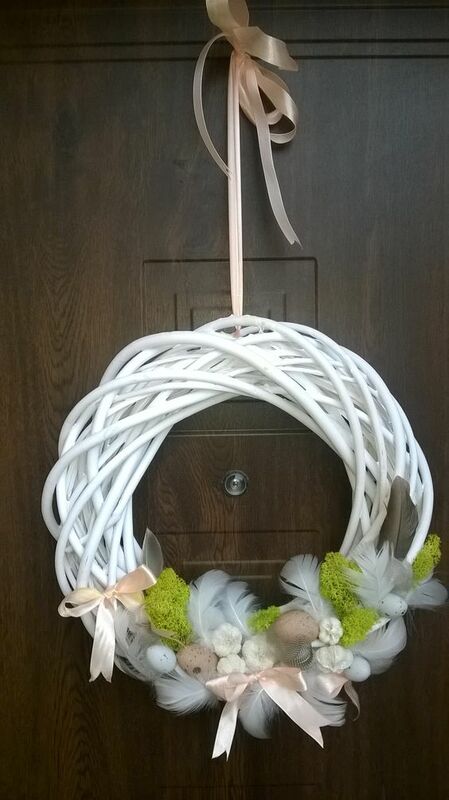 Purchase some Jute Twine to wrap around a wreath to begin making this project.